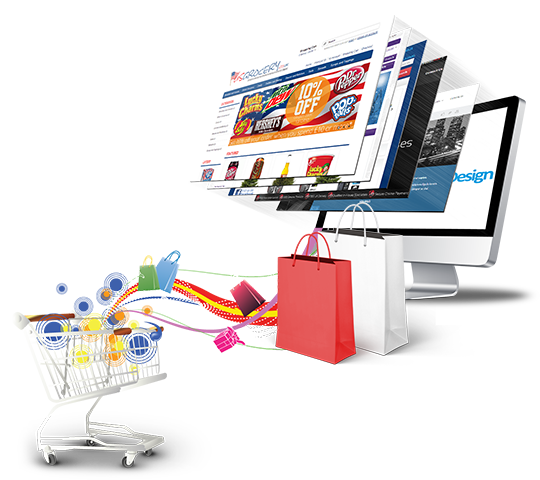 To meet complex requirements in terms of functionality, flexibility & robustness, we deliver custom ecommerce solutions built on industry-popular ecommerce engines like Prestashop, Magento, OSCommerce, VirtueMart, Zencart, Opencart, Ubercart, Woocommerce, and Bigcommerce, Shopify etc. keeping future platform updates & version upgrades in mind. Our highly competent ecommerce development team of PHP programmers possess extensive experience in creating custom extensions, specific modules, user-friendly shopping cart software and integrating premium ecommerce themes & 3rd party solutions. With our expert team of dedicated PHP developers, we can identify the right open source model suiting to your selling requirements and then implement it with ease after customizing everything - from theme development to premium template integration & shopping cart customization to module integration as per your needs. Our professional osCommerce developers carry years of hands-on experience in putting together a feature-rich online store at competitive pricing. Our ecommerce consultants analyse every technical aspect to suggest perfect ecommerce solution suiting to your needs, help launch your online store & guide how to promote it & increase sales - everything within your defined budget. Looks matter. With us, you can either get unique & beautiful ecommerce templates specifically designed for your business or choose from premium templates as per your requirements. From images & videos to product descriptions, pricing, inventory, content, marketing & more, you can manage everything on your own with a user-friendly CMS that we deliver with every ecommerce store. We know that your online store needs to sell round the clock & so we provide technical support to all our clients even in the oddest hours. We integrate payment gateways of all major service providers like EBS, CCAvenue, ICICI and HDFC so that your online store can accept credit cards, debit cards & netbanking payments without any hassle. We give you a mobile-ready shop with a responsive UI so that you dont lose sales from your mobile traffic. To boost engagement, we ensure your customers stick around by integrating strong calls-to-action; perfect social media signals and conversion optimized storefront design. Our Ecommerce solutions are focused to help you sell more. You get the most effective online selling tool fully loaded with advanced features, rich shopping cart design, awesome functionality & integrated social media signals. Why most wordpress websites fail ? Selecting wrong open source framework and not availing the services from a right vendor can risk your business. For a strong online presence, you need a robust platform & customisation services of a Wordpress-focused development agency. 90% people are accessing the web via mobile instead of PC and this is why it is extremely important to avail a fully customised responsive wordpress website from expert WP coders. You have just 6 seconds to either gain attention or lose it to your competitors. For better click through rates and conversions, your site needs performance boost. How we make them succeed with Wordpress! !